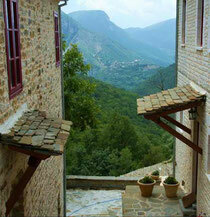 Zagori is a region and a municipality in the Pindus Mountains in Epirus, in northwestern Greece. It has an area of some 1,000 square kilometers and contains 45 villages known as Zagoria (or Zagorochoria). Zagori is an area of great natural beauty, with striking geology and two national parks, one including the river Aoos and the Vikos Gorge. The 45 villages of Zagori were interconnected by mountain roads and traditional arched stone bridges until modern roads were opened in the 1950s. 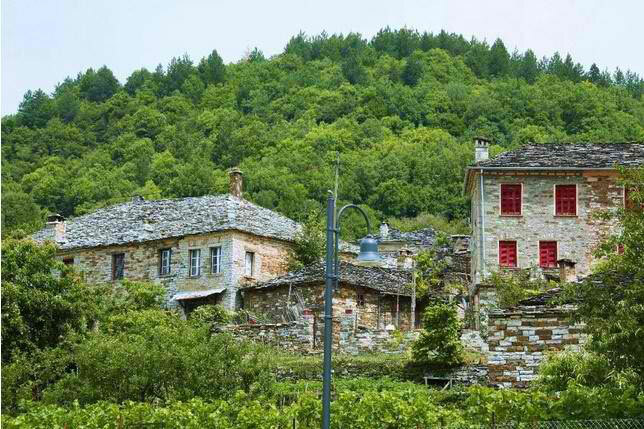 Nowadays many villages of Zagori are famous attractions places of tourists. Vikos, also known as Vitsiko, is a village in the Central Zagori municipality. It lies at the northern end of the Vikos Gorge. 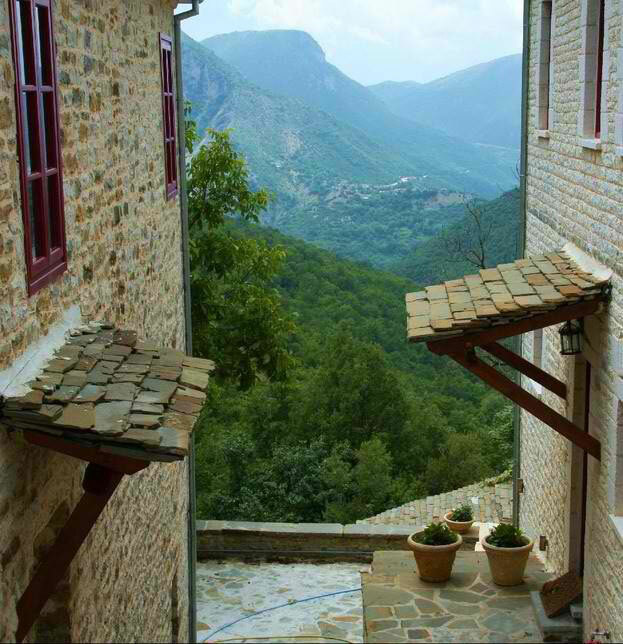 A paved path leads from the village to the Voidomatis springs in the gorge. This village is one of most touristical villages of Zagori, because it owns the most beautiful view to the Vikos Gorge, there are some souvenir shops and traditional restaurants. Very old and built from stone in traditional style is the church of Saint Trifonas, which is near the center of Vikos village and worth visiting. 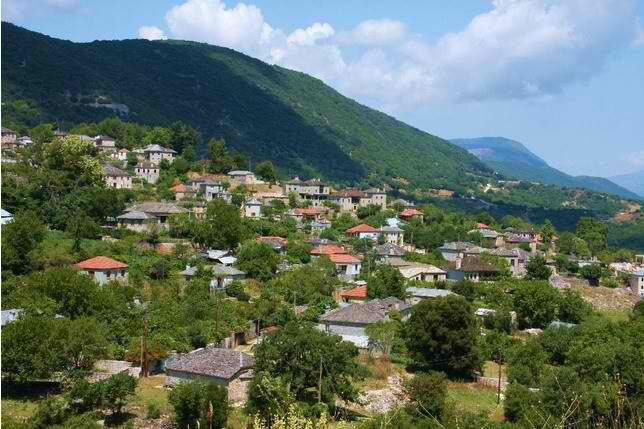 Aristi is a popular village in Western Zagoria. It is part of the Vikos-Aoos National Park and an ideal place for relaxing. 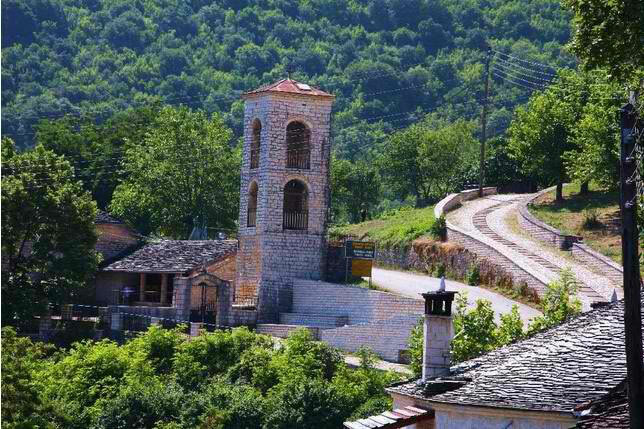 The village of Aristi is on a crossroad, where one road leads to the villages of Megalo and Mikro Papingo. This road, crossed by the Voidomatis River, is quite narrow and has many sharp bents. The natural scenery though is great. Many rafting and kayak routes start from this point. 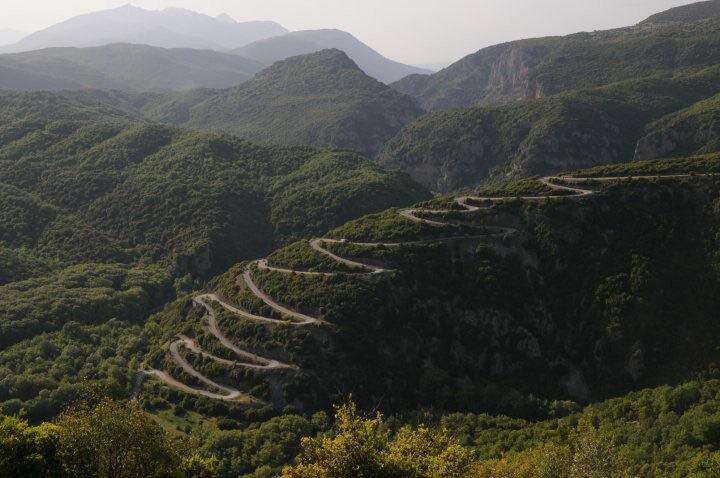 The other road leads to the main road from Ioannina to Konitsa. In case you drive, be careful because it is narrow and can be quite dangerous. If you visit Aristi, you should have lunch there. The Epirotic pies, filled with cheese, meat or vegetables are highly recommended, as well as the local wine. Aristi’ s central square has some traditional cafes, from which you can admire the imposing church of the Assumption of Virgin Mary and its high belfry. There are also shops scattered all around beautiful paved alleys selling folkloric art items. You can visit also a single-span bridge there, found across the Voidomatis river, as well as an impressive monastery dedicated to the Virgin Mary Spiliotissa. Aristi also offers some accommodation options. 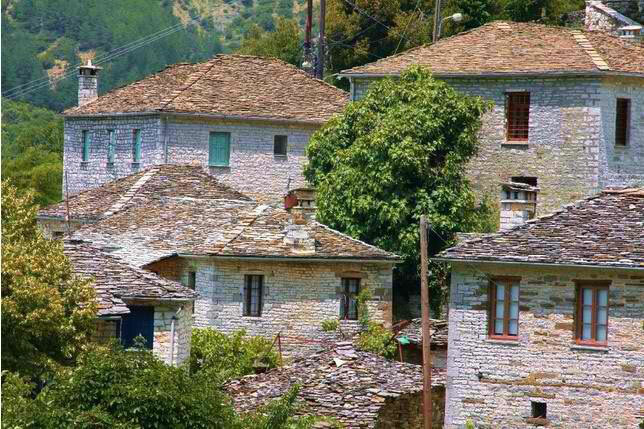 The village of Megalo Papigo is situated on Astraka, one of the highest peaks of Mountain Tymfi and its thought to be one of the most beautiful villages of Zagoria. 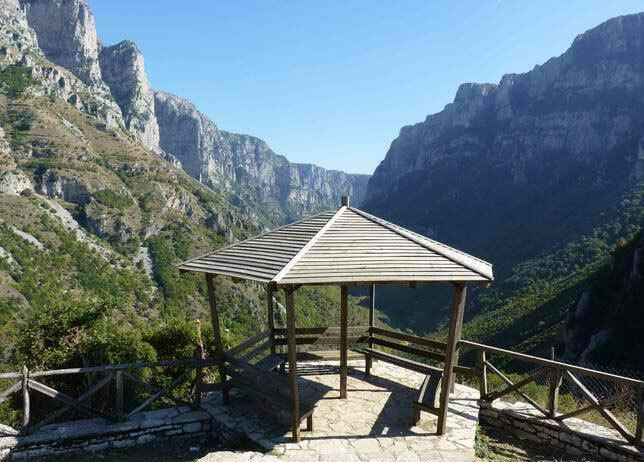 It is on the North side of the Vikos gorge and can be accessed by crossing the Voidomatis River bridge. Then you must take the road up in order to arrive to Megalo Papigo. The road leading to the village of Papigo is a feast for the senses. The feature of this road, crossed by the Voidomatis River, is picturesque, creating great natural scenery that attracts the visitor’s eye. 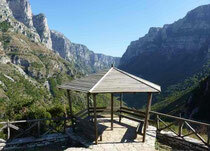 The view of the Vikos gorge is also stunning. However, if you drive, it is important to pay attention on the road, because it is narrow and very zigzagging. Once in Papigo, great strolls around its stone-alleys can be held, as its two-stored mansions have been declared a national historical monument. Their construction materials are mainly stones. In fact, this is the main material on the village and is used almost for everything. These constructions are also unusual because they do not have a balcony. 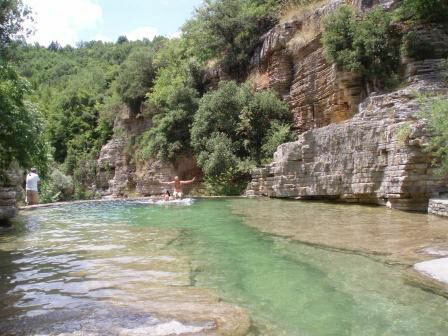 Another interesting point is the natural pools called Kolympithres –also made of stone, located very close to the village. They are full or warm water from June till September and there are not too many visitors during the week, so it’s a great place to relax - pools are ideal for refreshing in the hot days. Another interesting activity that can be held in Megalo Papigo, is to visit the personal library of Micheal Anagnostopoulos. It includes around 1250 volumes of books –most of them in foreign languages, published between 1750 and 1906. Once strolling around these areas, in case you decide it is too late to come back to the accommodation place, it is possible to spend the night in one of the traditional pensions available in the village. In case you do not have a car, there is a bus service to the villages of Papigo from Ioannina, which usually works three times a week. Mikro Papigo village is amphitheatrically built on the steep slopes of Mountain Timphy and can be reached after approximately 3 km further up from Megalo Papigo. Apart from the scenery, the village itself has a remarkable beauty as well. Right after entering, the visitor comes across the central cobblestone square. Along the stoned alleys, there are many great exponents of the Zagorian architecture, also made of stone. Most of these houses and mansions have two stories, ornate chimneys and large courtyards. The important church of Agioi Taxiarches is also in Mikro Papigo. All these have contributed in order to declare the whole Papigo as a national historical monument. Apart from strolling around the houses and visiting the church, another popular activity there is trekking. Many visitors start from the square and head to the shelter of Astraka, passing by four stone fountains. The village also leads to the popular Dragon Lake, placed on the edge of a great limestone cliff overlooking the Aoos Valley. There is a phenomenal legend about the lake and it takes some hours of walking to get there. Regarding the accommodation options, Mikro Papigo provides some small pensions if you want to spend the night there. There are also traditional taverns offering Greek food, coffee and spirits in the village. Metsovo is a town in Epirus on the mountains of Pindus in northern Greece, between Ioannina to the north and Meteora to the south. The town is famous for its local cheeses (Metsovone and Metsovela) and winemaking industries, including the Katogi vineyard of the Averoff family. A museum named Averoff Gallery is dedicated to Georgios Averoff. 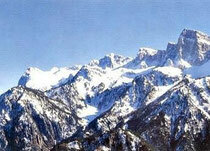 Metsovo is also a popular winter vacation destination and a ski resort. The Metsovo Ski Center is situated not far from the center of Metsovo.